REPOWER America is a unique concept in the solar landscape: the largest network of local solar providers in the U.S., backed by the power of a national solar leader. The company provides the scale, expertise and backing to help a network of nearly 200 trusted, local solar contractors deliver the best possible solar experience to consumers. Complete redesign of website with all new copy. Engage consumers to the point that they'll request a free quote. Work on overarching brand messaging preceded the website assignment and served as a foundation for all copy. The unique value proposition of a trusted local installer backed by a national leader had to take center stage. Early indicators point to more leads captured and more sales inquiries. 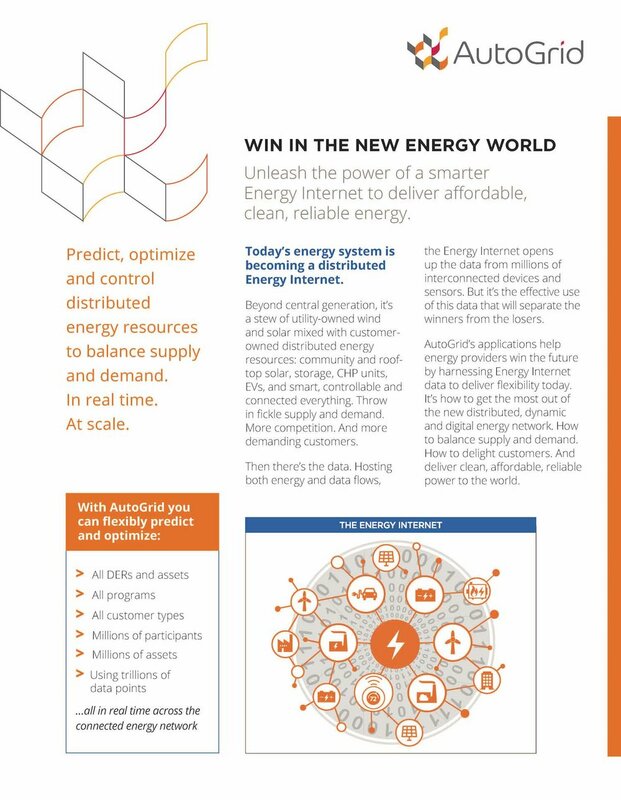 The world’s leading energy companies turn to AutoGrid to integrate all distributed energy resources, turn on new revenue streams and drive deeper engagement with their customers. Its suite of Energy Internet applications allows energy companies to deliver clean, affordable and reliable energy in a distributed energy world. 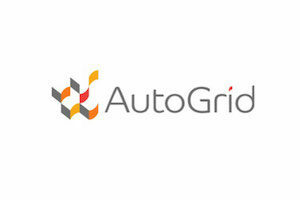 AutoGrid did a top to bottom redesign of its website, with all new copy. The objective ultimately was to create an engaging website that would attract prospective customers and start them on the journey to becoming actual customers. Work on an overarching brand and product messaging matrix preceded the website assignment and served as a foundation for all copy. Early indicators point to more downloads, more leads captured and more sales inquiries. Stem, a leading provider of intelligent energy storage, combines big data, predictive analytics and advanced energy storage to simultaneously reduce electricity costs for businesses and in aggregate, deliver services to the power grid. Stem is headquartered in Millbrae, Calif., with operations in California, Hawaii and New York. Particularly for newer technologies such as energy storage, customers seek reassurance through proven deployments. The ideal solution to show customers is a case study. Stem regularly produces case studies to highlight its installations in a variety of markets and industries. Demonstrate to prospects that Stem offers a proven, tested way to reduce demand charges and lower energy bills. We use a simple storytelling approach to structure the case study. By laying out JCPenney's goals and challenges first, we make a strong case for the Stem solution. Stem was named to the Global CleanTech 100 for the third consecutive year in 2017. CleanChoice is an energy company that does good. Its mission is to switch as many American homes and businesses to clean, renewable energy as possible. CleanChoice is a certified B Corporation headquartered in Washington, D.C. B Corps are companies that commit to measuring their success by the triple bottom line of social responsibility, environmental sustainability and economic performance. I have specifically targeted energy-related B Corps in my marketing plan. So CleanChoice falls squarely in my sweet spot for the types of companies I like to support in my purchasing and in my writing and strategic communication work. CleanChoice (formerly Ethical Electric) asked me to write a series of blog posts on topics related to clean energy and energy efficiency. The range of topics includes blog posts on energy-related spring-cleaning tips, smart thermostats, the health benefits of clean energy, community solar and Earth Day activities. Position CleanChoice as a trusted expert and go-to resource for credible, helpful information on renewable energy and energy efficiency to drive website traffic and add value to the customer relationship. Supplying a steady stream of informative blog posts is a critical component of every organization’s content-marketing strategy. Write short but informative and well-documented posts. A key to writing good blog post copy is to create what is known as scannable text. This is text that readers can easily read—or more precisely, scan—on a computer or mobile device screen. Tactics such as headlines, subheads, images, bulleted text and lists ease eye strain and allow readers to sweep through text. Content I've written for CleanChoice Energy has helped them generate click-through rates on social up to 10 times the industry standard. It has also increased CleanChoice Energy's regular readership, as many people viewing one post have joined their monthly newsletter. I wrote these four blog posts as well as others. Notice the external links? Having external links helps improve your search engine optimization and further positions you as an authority on your topic. This post is one of a series on the links between climate and weather. Ecova is a total energy and sustainability management company that uses insights based on energy consumption, cost and carbon footprint data to help clients save resources, increase returns, lower risks and enhance reputations. With more than 50 utility clients and over 900 multi-site business clients, Ecova serves a multitude of industries with its energy and sustainability management services. Demonstrate leadership and expertise in helping utility clients successfully deploy energy-efficiency measures in hard-to-reach markets. Develop an easy-to-read two-page case study that documents Ecova's ability to apply marketing savvy, experience, data analytics and good old-fashioned shoe leather to transform energy-efficiency markets and get solid, measurable results. The case study forms part of an overall successful strategy to penetrate the multi-family energy-efficiency marketplace. The Charles H. Lundquist College of Business offers advanced degrees in accounting, decision sciences, entrepreneurship, finance, management and marketing.The Charles H. Lundquist College of Business offers advanced degrees in accounting, decision sciences, entrepreneurship, finance, management and marketing. I was a regular contributor to the college's quarterly magazine for seven years. 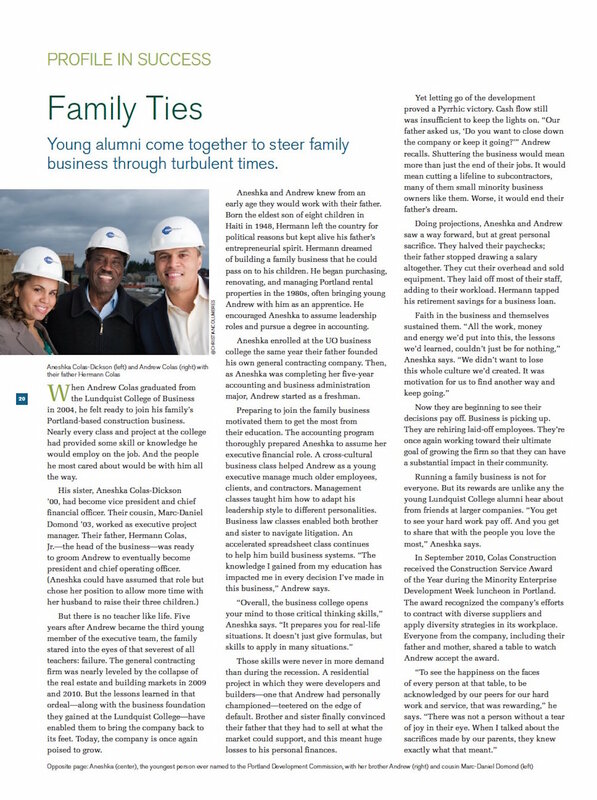 My writing ranged from one-page profiles of students, faculty, alumni and donors, to multi-page, in-depth features on curriculum changes, programs and people. Demonstrate the excellence of faculty, students, administrators and alumni to the alumni and donor community. My approach was always to tell the college's story through the stories of people. Two comments from people I interviewed and wrote about really stand out for me. One was from a professor who admitted that she was skeptical about doing the article. She'd been burned by some past experiences with writers. After the article came out, she wrote to thank me—not only for getting the facts right, but also for really getting to the core of the story. The other comment was from the new dean, on whom I'd done a major profile introducing him to the community. He said that my interview with him actually helped him understand and clarify some thoughts he'd not yet articulated. AutoGrid wanted a brochure that told the big-picture story of who it is, what makes it different and where it adds value. 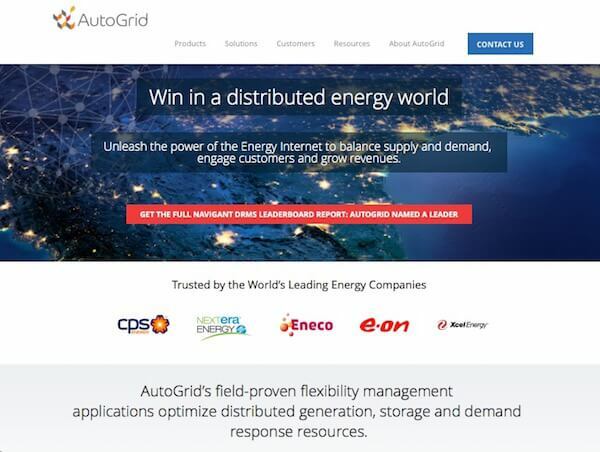 The objective was to articulate AutoGrid's value proposition, make a case for a new category of utility software called flexibility management, and position AutoGrid as the leader in flexibility management for energy providers. Our approach was to make the brochure highly visual and to present each page as a standalone unit of messaging. AutoGrid was named to the Global CleanTech 100 for the fourth consecutive year in 2017 and has consistently been ranked as a leader in the flexibility management software category by industry research firm Navigant.